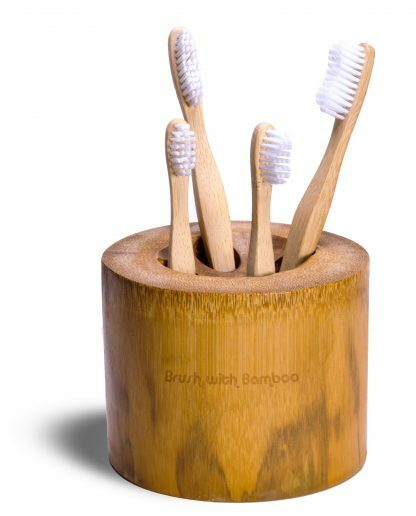 Our Bamboo Counter-Top Toothbrush Holder is the perfect bathroom fixture for storing and displaying your bamboo toothbrushes. These unique toothbrush holders are each made from a single piece of bamboo. 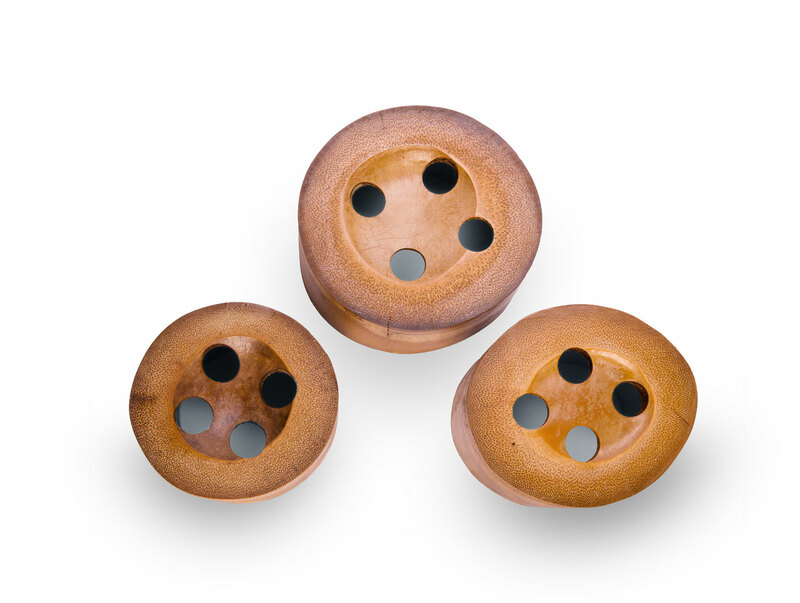 They are finished with plant-based non-toxic water sealant (food grade and edible). Because each Bamboo Toothbrush Holder is made from a unique piece of bamboo, sizing varies slightly from piece to piece (see photo). The diameters of the holders range from 10 cm to 13.5 cm, and the heights range from 8.5 cm to 9 cm. We hope you can appreciate and love your unique toothbrush holder – no two holders will look the same. Also, small natural cracks are present in most pieces, but these will not affect the long-term integrity of the piece (we think it adds to the charm!). As with all pure and natural products, the appearance of the toothbrush holder might slightly change over time. This product is exclusively made for Brush with Bamboo by village communities in Vietnam. The bamboo is sourced from local bamboo forest communities that are home to 3000 families in Vietnam. 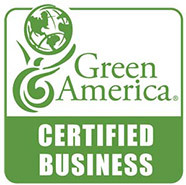 The community leadership has a focus on sustainability, as well as fair and safe working conditions. This bamboo is organically-grown. *Note: Holds 4 toothbrushes (kid or adult size both fit). Brushes not included.